Whatever happened to Joshua O. Johns? On April 9, 1865, Pvt. 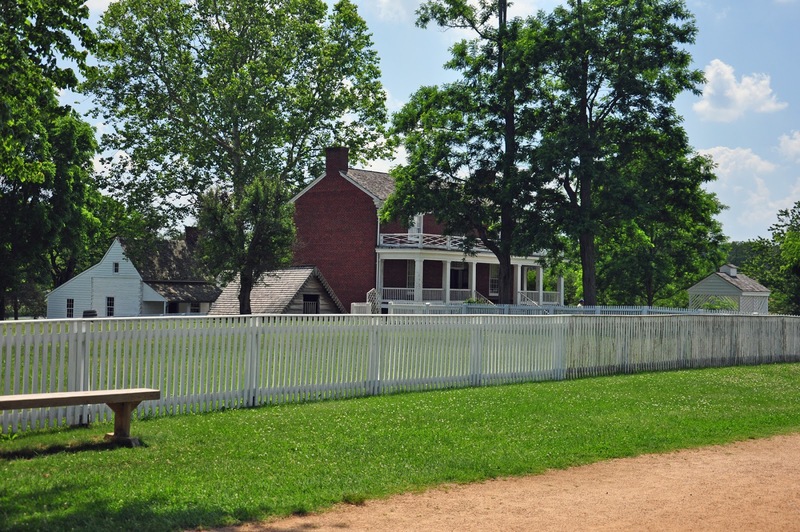 Joshua O. Johns rode into the village of Appomattox Court House. He was one of three Confederates on the grounds of the McLean home as Robert E. Lee surrendered the Army of Northern Virginia. Johns held the horses, his, Lee's favorite mount Traveler, and that of Col. Charles Marshall, as the details were worked out. Following the surrender, Johns rode out of the village, and pretty much out of the pages of history. What happened to Johns after the war? Joshua O. Johns was a member of Company C, 39th Battalion Virginia Cavalry. His compiled service record from the National Archives is really short. 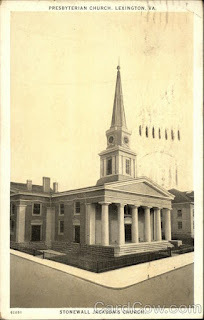 It states he joined the Battalion on December 21, 1863, at Orange Court House. He was present in September and October 1864 and November and December 1864. On April 9, 1865, Johns was paroled at Appomattox Court House. It appears that Joshua Johns was born in Mississippi, and then enlisted on July 11, 1861, at Camp Perkins, Virginia, in Company E, 8th Louisiana Infantry. He was present or accounted for (sometimes sick) until January-February 1862, when he was "Detailed as Courier for Genl. Jackson." In August 1863, that detail changed to "Courier for General Ewell." Johns was reported present in September-October 1863. Was he back with the 8th Louisiana Infantry? The next card in his file states that on December 11, 1863, he was "Transferred... to Capt. Taylor Co. C. Bat of S. G., and C. [Scouts, Guides, and Couriers]". Who is Captain Taylor? Yet another card, this time stating that he was 23 years old when he enlisted, that he was born in Mississippi, and living near Winnsboro, Louisiana, adds that he was "Transferred to Richardsons Batt. of Cavalry Dec 1863." Johns was captured on May 2, 1863, sent to the Old Capitol Prison in Washington, D. C., and paroled in June 10, 1863. It also appears that when he was captured, he was also wounded - "Flesh R. side of scalp battle minie..." On the hospital card it sates "Rank: Courier, Co. For Stonewall Jackson." Many believe he was with Jackson the night he was wounded. 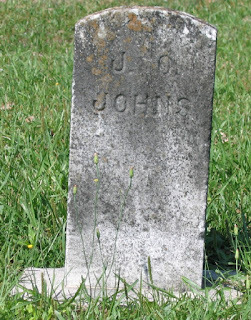 The grave of Joshua O. Johns in Mississippi? Looking at the 1860 US census, there is a Joshua Johns, age 22, living with the R. J. Pricket family in Franklin County, Louisiana. This Johns was born in Mississippi, is unmarried, an overseer, and quite wealthy: $2,400 in real estate and $13,475 in his personal estate (probably a slave owner, but I've not researched that out yet). Looking at the 1870 census, there is Joshua O. Johns, Franklin County, Louisiana. He is 26 years old, a farmer with $100 real estate and $369 in his personal estate, and he is now married to Susannah E., who is 27 years old. In 1880, it appears that Johns has returned to Mississippi. He is (I believe) listed as living in Meadville, Franklin County, age 47, and married to Sousanna Johns. He is listed as J. O. Johns, and as a farmer. There is a black man living with them as a servant. (First name Harry?, last name Beal.) The 1880 census states he was born in Mississippi, his father was born in Alabama, and his mother was born in Mississippi. Rooting around on ancestry (I don't usually trust ancestry), I find a Joshua Oliver Johns, born 1834 in Wilkinson, Mississippi. His mother was Rebecca Harriet Wilkinson and his father was James Johns. 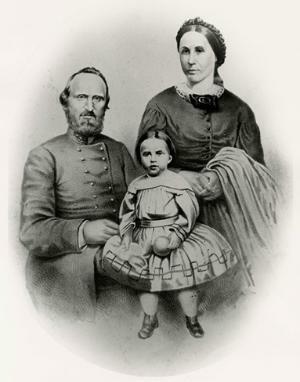 Joshua married Susannah E. McDaniel. I lose track of Joshua O. Jones about 1890 - no 1890 census, and I can't not find him in the 1900 census, or beyond. I also do not see a pension application for him. There is a J. O. Johns buried in the Oaklawn Cemetery in Hattiesburg, Mississippi. The stone has no dates, and I cannot find a wife nearby. So did Joshua O. Johns, private, Company C, 39th Battalion Virginia Cavalry return to Mississippi after the war, get married, and lease land in Franklin County? Did he marry Susannah McDaniel, and then get into a legal battle with a member of the McDaniel family? Did Johns lose his land and move to Hattiesburg where he became chief of police? Is he buried in Oaklawn Cemetery in Hattiesburg? Got any details you can add? Who Rode with Lee at Appomattox? I'm not sure of the source of this scene that is floating around in my head. 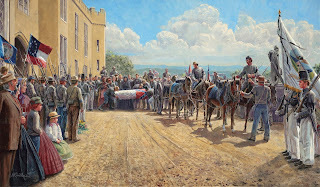 Maybe it is a painting, or some clip from a movie or show (Civil War Journal?). 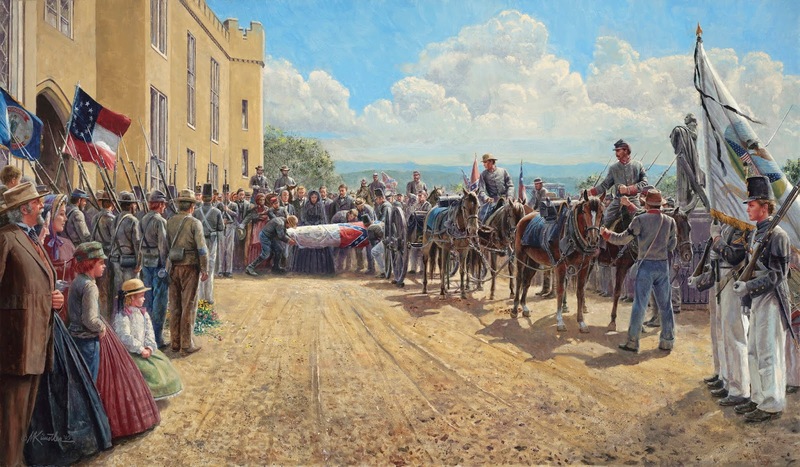 It shows General Lee at Appomattox, with an officer and courier in tow, leaving the McLean house. Lee we all recognize. But who were the others? The common story is that Lee was accompied by Col. Charles Marshall, of his staff, and Sgt. George W. Tucker, A. P. Hill's former chief of couriers. That is the way that Charles Marshall wrote the story many years after the war, and it is a story often repeated. Charles Marshall was present, and why shouldn't his account have credence? But maybe the years were catching up to Marshall when he wrote. There is no doubt that Lee was present, as was Marshall, but what about that courier? Freeman, in volume four of his biography of Lee, picks up this story. The party heading to see Grant is composed of Col. Walter Taylor, Charles Marshall, George Tucker, and Lee. This is based upon a letter that William H. Palmer wrote to Taylor on June 24, 1911. Palmer was on Hill's staff until the latter's death, and was now serving under Longstreet. (124) Later that morning, while still waiting for word from Grant, Taylor was sent with a Federal Assistant Adjutant General with a message. When word arrived from Grant, according to Freeman, Lee, Marshall, and Tucker set off. (133, using Marshall as his reference.) Then, according to Freeman, Marshall and an orderly rode off to Appomattox to find a place suitable for a meeting. When the McLean house was selected, Marshall sent the orderly back to inform and guide Lee. (134) Eventually, Grant showed up, and the terms were worked out. Then Freeman turned to an account by George A. Forsyth, a Federal general and witness to the proceedings at Appomattox, who published his account in April 1898. Forsyth recalled seeing "a soldierly looking orderly in a tattered gray uniform, holding three horses..." (708) Eventually, Lee emerged from the McLean parlor. According to Forsyth, Lee, not seeing his horse, called out "Orderly! Orderly! "Here, General, here," was the quick response. The alert young soldier was holding the General's horse near the side of the house..." (710) Forsyth never mentions the name of the "orderly," or courier. My two cents’ worth on who rode with Lee: When the group started off the first time on the morning of April 9, 1865, the party consisted of Lee, Marshall, and Tucker. At some point after returning from the first attempt to meet Grant, Tucker is ordered away. On setting out a second time, Tucker is not present, and Johns carries the white flag through the lines. Marshall mentions Tucker by name in the first attempt, but does not in the second ride to Appomattox. We know that other officers were present, like Colonel Taylor, at various times, and it is likely that other couriers were milling around. Attending church services was one of the activities Confederate soldiers could choose to break the monotony of their day-to-day lives. At the peak of the revivals in the Army of Northern Virginia (and to an extent, the Army of Tennessee), soldiers could attend services almost every evening (and probably twice on Sunday). There were never enough chaplains or colporteurs to meet the needs of the soldiers. Truly, the harvest was great, and the workers few. Not long ago, I began wondering what messages were being delivered about the time of Stonewall Jackson's mortal wounding. He was mistakenly shot by his own troops during the night of May 2, 1863. As the army was fighting the battle of Chancellorsville on May 3, there were no church services held in Confederate camps. Many of the chaplains were busy at various field hospitals. The next church service was held on May 10. We, of course, know that Jackson only had hours to live. Francis Kennedy, chaplain of the 28th North Carolina Troops, also preached both on May 10 and May 17. Members of Lane's brigade, to which Kennedy belonged, had been the troops who mistakenly mortally wounded their beloved Stonewall Jackson. The pain they felt was undoubtedly as great as that expressed by Lee. On May 10, Kennedy selected Psalms 103:2 as his text: " Bless the Lord, O my soul, and forget not all his benefits:" The following Sunday, May 17th, he selected Ecclesiastes 8:11: "Because sentence against an evil work is not executed speedily, therefore the heart of the sons of men is fully set in them to do evil." Unfortunately, Kennedy, a Methodist, does not elaborate upon the passages.